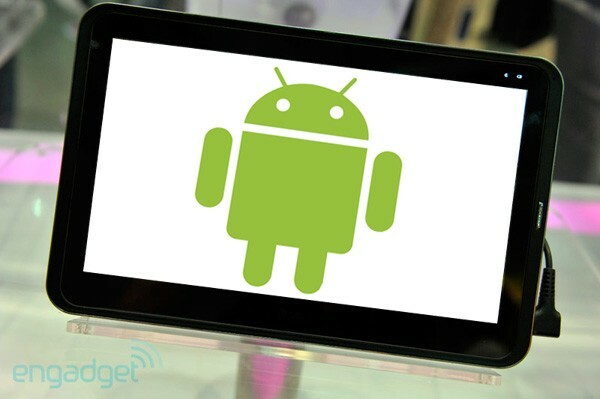 Android , Free Open Source Os is now Standing On Amazon’s Shoulders , Acquired 39% of Market in Tablet Os. Apple’s iPad reigns supreme from whatever angle you choose to look at the tablet market (profits, apps, quality, market share, mind-share, you name it), but research firm Strategy Analytics this morning said Android did manage to capture a record 39 percent tablet OS market share in the fourth quarter of 2011. Apple maintains the lead with 58 percent market share in Q4 2011 (down from 68 percent in the fourth quarter of 2010).ads with 58% . The Kindle Fire runs a heavily customized version of Android, sure, but it’s a different beast from, say, Samsung’s Galaxy Tab or Motorola’s Xoom. I would love to know how much of that 39 percent market share can be attributed to the undeniably strong sales numbers of the Kindle Fire. That's interesting to know. Hat's for Apple!